The Wine Advocate - Served from an ex-chateau bottle. Consistent notes compared to the sample tasted blind at Southwold, the 2010 Chateau dYquem does not quite live up to the billing it showed out of barrel. Certainly it does not possess the concentration of the 2011, the elegance or the symmetry. However, there is fine minerality on the nose and great transparency. The palate is fresh and harmonious, with a fine bead of citrus fruit and a penetrating, spicy finish that offers white peach and honeysuckle notes, yet does not possess anything close to the peacocks tail of the magnificent 2009. Still, this is a fine Yquem. Drink 2017-2040+. Tasted March 2014. Jancis - ‘2010 was a cool year for us.’ Winter and autumn cold, good dry, warm summer. Very healthy grapes, though quite a bit of rain on the flowering, A bit of coulure on Sauvignon so less than usual in the blend, just 13% compared to the usual 20%. Pale gold with slight greenness. Gorgeous, classic nose. Pear juice a go-go. Absolutely stunning freshness as well as all the botrytis. Classic. Real punchy perfect savoury Sauternes. Zesty and lovely with some chew on the end. No shortage of botrytis. Very distinctive and much less sweet than 2009. (155 g/l in 2009, 141 g/l in 2010). Refined finish. Finished 5 Nov. Five passes. Real punch and zest. Grapefruit peel. But not a massive sweet bomb. Wine Spectator - The Château d’Yquem Sauternes 2010, a blend of 87 percent Sémillon and 13 percent Sauvignon Blanc, is tropical and inviting is tropical and inviting, with lush mango, fig and papaya aromas followed by pineapple and creamed banana. The long tangerine finish is flattering and very open now, but the length is clearly there. Other - At the first tastings, this vintage was often compared, on account of its liveliness, to the wonderful ’88. The same kind of vibrancy and “nerve” was mingling into the botrytis complexity in a similar way. Now, whilst it has retained all these vibrant qualities, the wine has clearly softened and the comparison should maybe now include a touch of ’89? 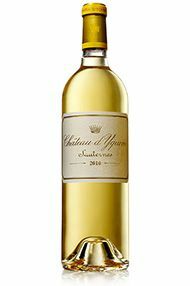 Whatever, this is a great vintage of Yquem, in a prettier style to the monumental keeper vintages such as 09 or 05. 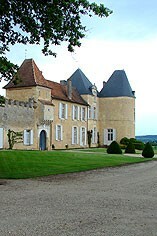 The style of the 2010 Sauternes wines: From the outset, it was clear that this was going to be another outstanding vintage. The acidities are good but it is the freshness and purity of flavours in the concentration that defines the balance of the vintage. These were clearly going to be superbly pretty wines, all driven by this great freshness of flavour. The concentration is not quite as high as the more massive 09s – generally 125 - 140 g/l rather than 135 – 160, but the balance is perfect. Since those very first tastings, the wines haven’t changed much. Some have maybe formed a little more middle-weight now, but essentially preserving their lovely softness and clarity. This is the kind of vintage which will be delicious very young but has the inner strength and balance to see it through into long ageing.